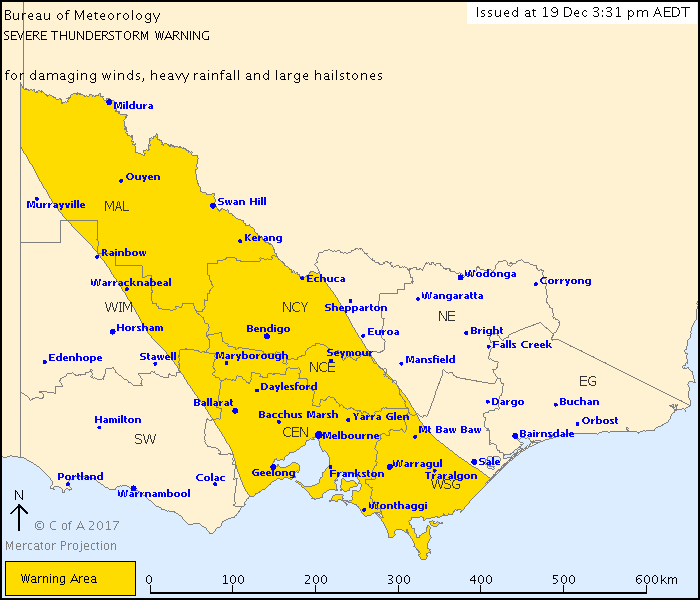 Latrobe Valley residents have been warned to prepare for potential severe thunderstorms later today. “Severe thunderstorms are likely to produce damaging winds, heavy rainfall that may lead to flash flooding and large hailstones in the warning area over the next several hours,” a Bureau of Meteorology spokesperson said in a warning message issued at 3.31pm. “Locations which may be affected include Mildura, Bendigo, Seymour, Maryborough, Ballarat, Geelong, Melbourne and Traralgon. “Mildura has recorded a wind gust of 89km/hr at 3:01pm. 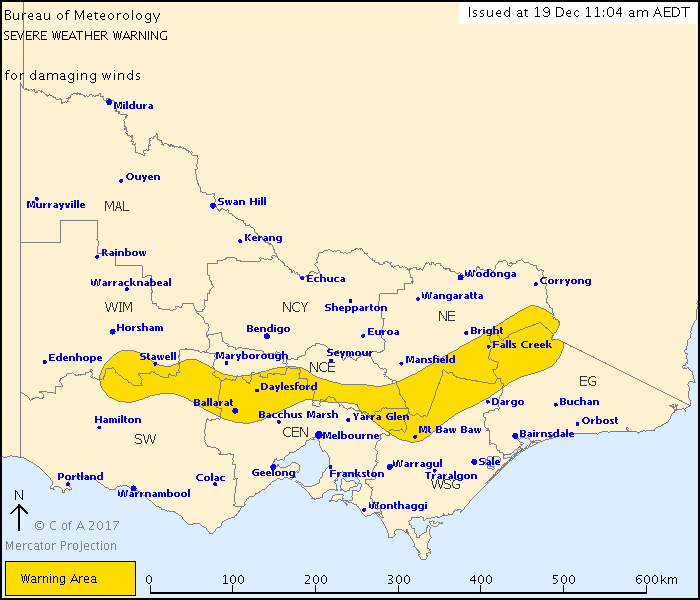 A separate severe weather warning issued this morning for damaging winds averaging 50 to 60km/h with peak gusts between 90 and 100km/h remains in place. Latrobe Valley residents appear to have just missed being in that warning zone. The next scheduled BoM warning will be issued at 6.35pm or sooner. Visit the BoM website for the latest warning information.